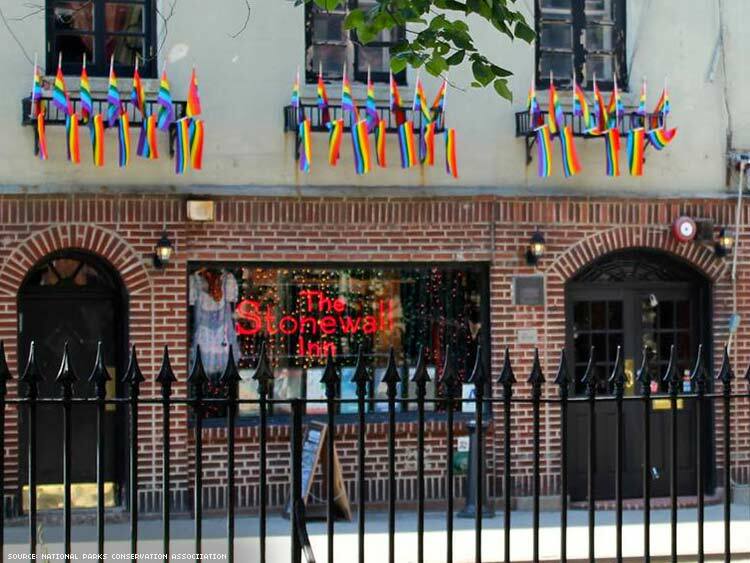 Stonewall's designation as a national monument comes less than two weeks after tragedy. President Obama made history today by naming the site of the Stonewall riots the first national LGBT monument — but it had long ago proved it deserved that title. The bar has been a gathering place after major moments in LGBT history, both for celebration and mourning. The Stonewall Inn became a center for LGBT people and allies to come together after the Orlando mass shooting to remember the 49 people whose lives were lost June 12 and the 50-plus who were wounded. This time last year, crowds rushed to the Stonewall to celebrate the Supreme Court's ruling for marriage equality, after a long and hard-fought struggle. While LGBT people are in a state of mourning over the horrific act that took place in Orlando, the community needs a space where it can come together to honor historic moments in our history. That kind of space is exactly what President Obama recognized today. The Stonewall National Monument will protect 7.7 acres of land in Manhattan's Greenwich Village — Christopher Park, the Stonewall Inn bar, and the area streets and sidewalks that surround the area where the 1969 riots against police harassment took place. "The riots became protests, the riots became a movement, the movement ultimately became an integral part of America," said President Obama in a video about the history of the Stonewall riots. "I believe our national parks should reflect the full story of our country, the richness and diversity and uniquely American spirit that has always defined us," Obama added in his announcement. The National Parks Conservation Association celebrated the announcement, saying, "Now, thanks to this victory, this site of mass resistance that led to larger social and political change will now be preserved as part of our national heritage for future generations." President Obama first revealed his plans to make Stonewall a national monument back in May. Watch the video from President Obama below, and scroll down for another video, reporting on today's dedication.